When our 3rd floor isn’t hosting events, it welcomes everyone to the bar for an ice cold beer or one of our signature cocktails. 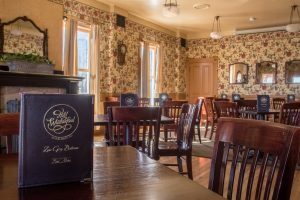 The Zane Grey bar is open daily, from 4pm to close on weekdays, and from 11am to close on weekends, and serves an array of appetizers from our menu. In the summer, this Flagstaff bar is the best place to sit on the beautiful wrap-around balcony and enjoy the wonderful Northern Arizona weather, not to mention the best views in town! 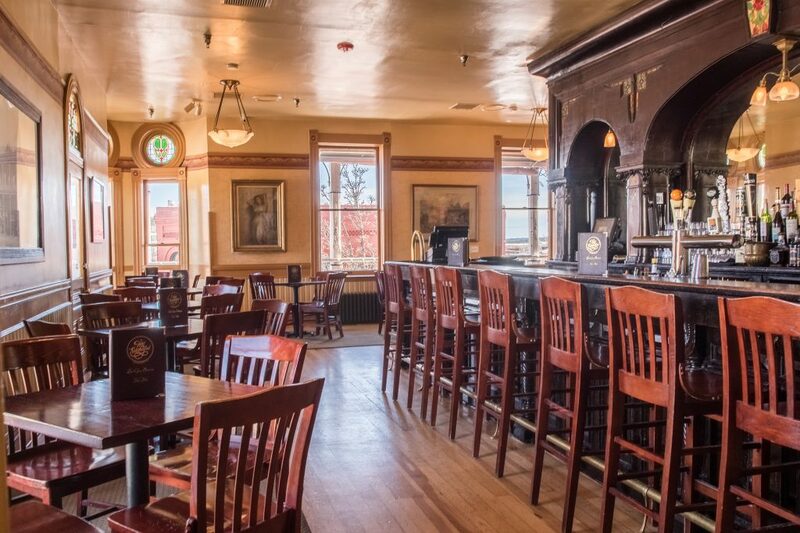 The stained glass windows, antique Brunswick bar from Tombstone, wood floors, and original fireplaces set the stage for casual elegance, magical moments, and one of the best Flagstaff bars. Zane Grey Bar & Ballroom opens to double-tiered reconstructed balconies, offering a bird’s-eye-view of the historic downtown railroad district. Just as it has inspired a number of artists over the years, the Zane Grey Ballroom continues to be an inspiration for those hosting wedding receptions, family reunions, and parties. This venue features a full bar and seating for about 100 people. Our Zane Grey Bar and/or Ballroom is the perfect choice of Flagstaff bars to host your next event. Please visit our events page for more information.